Anxiously attached individuals feel chronically insecure and their relationships are often intense, angry, and enmeshed. In the spectrum of anxious attachment, some people tip into states of acute rumination following specific life events, while an extreme manifestation may be thought of as "borderline borderline" - inescapable brooding, raging, and inability to separate. Preoccupied clients can be difficult to work with, and these therapies often feel stuck or end badly.Anxiously Attached contains four papers presented at a conference in February 2016. They address the origins of anxious attachment in specific features of parent-infant relationships, findings from research about developmental aspects, typical features, concerns, and defences in adults, and how these may be presented in psychotherapy. Enmeshed dynamics in adult relationships, including the therapeutic relationship, are also highlighted, where threat of separation and loss activate intense attachment seeking. 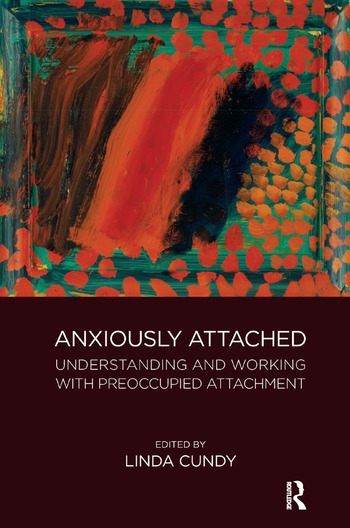 The aim is to increase understanding of preoccupied clients from an attachment perspective, to recognise the nature of their anxieties and resistances, and propose specific skills for therapeutic work.